Max. Height above ground: 68ft. Maximum track slope: 60°, Lift hill maximum slope: 60°. 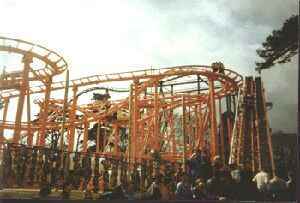 Other info: A good Crazy Rodent Roller Coaster is all about tight turns and sudden drops - the more intense, the better. Maximum Ride Capacity: 48 guests, Vehicle Capacity: 4 passengers per car.